The amount of residents that struggle with drug addiction in Hot Springs, Arkansas is disproportionately high compared to the rest of the nation. If you live with addiction in Hot Springs, Arkansas, you may feel stuck in an environment that fosters and encourages your addiction. However, that doesn’t mean that you need to give in. The only one who can decide it’s time to kick addiction to the curb is you, and that’s a decision that you can make regardless of where you live. It’s a decision you may have to make every day, and that’s where the challenge begins. What’s important to remember is that you’re not alone, and others will stand with you when you make the choice to recover. While the crime and poverty rates may contribute to the town’s dark underbelly, this doesn’t stop hundreds of thousands of Arkansas residents a year from seeking treatment. Keep reading to find out about the ins and outs of drug addiction in Hot Springs, Arkansas including but not limited to laws, statistics, and treatment options. While drug use plagues some areas more than others, addiction knows no income level and abuse is a problem in several different neighborhoods of Hot Springs. These include but are not limited to Central Avenue, Euclid Heights, and even the historic and picturesque downtown. The crime rate in Hot Springs, Arkansas is particularly high, which is statistically connected to drug abuse throughout the nation. Hot Springs scores a 3 on the national crime index, meaning that 97% of cities are safer than it. There are about 250 violent crimes committed in a year as well as nearly 2,000 non-violent crimes, which is high considering the population is only 35,000. You have a 1 out of 142 chance of being a victim of a violent crime in Hot Springs, Arkansas. These statistics are disheartening, considering Hot Springs is named for a beautiful and naturally occurring phenomenon. It’s a historic and attractive town with so much to enjoy including waterfalls in the Hot Springs National Park, Fordyce Bathhouse, the Gangster Museum of America, and Magic Springs and Crystal Falls amusement park. Imagine for a moment what this town could be like if it wasn’t weighed down by violent crime and drug abuse. It’s time to get to the root of the problem and forge a clear path to recovery. Who Becomes Addicted to Drugs? This is a complex question. The short answer, however, is that anyone can become addicted. It doesn’t matter if you’re rich or poor, male or female, 18 or 65. If the risk factors are there, you stand to become a victim of an ugly disease that you can only cure through hard work and vigilance. This means that abuse starts young, when children are still living with their parents. Starting at a young age only makes an individual’s problem more ingrained in their routine and more difficult to leave in the past. 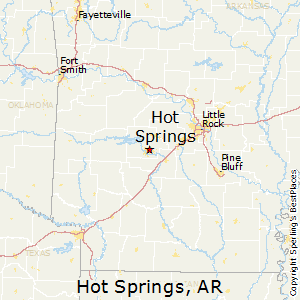 So is there any good news about Arkansas and, in turn, Hot Springs? It turns out that the death rate as the result of overdose is actually slightly lower than the national average. It’s believed that this is due to the top-of-the-line recovery facilities available to those who are struggling. Read to the bottom to hear more about these local facilities and what they have to offer. Similar to its southern neighbors, Arkansas has particularly strict laws in place when it comes to drug possession. Drug crimes are taken very seriously and laws regulate prescription use as well as prevent illegal substances abuse. If you’re here, chances are you’re looking to improve your life. This is not only admirable and brave, but also the first step to making it happen. What you really don’t need right now is a drug charge. Being convicted of a crime whether misdemeanor or felony can throw your whole life off track. What’s worse is once you’ve served the time, paid the fine, and re- acquired your license, you may have a difficult time finding employment. Kicking your addiction now could potentially save you a lifetime of regret. The laws for possession in Arkansas vary from substance to substance. For reference, the following are the maximum penalties and fines for marijuana possession. Keep in mind that these laws are at the lenient end of the prosecution spectrum, and that sentencing for possession of schedule one drugs such as methamphetamine, cocaine, or heroin would increase in severity. Possession in Arkansas is classified by how much of the illegal substance you have on you and whether or not you’ve been an offender previously. Your first offense with less than 4 oz. on you is a misdemeanor, and is punishable by up to one year in prison and up to $2,500 in fines. Any subsequent offenses are considered a felony, and are punishable by up to six years in prison and up to $10,000 dollars in fines. Having more than 4oz on you is automatically considered a felony. Your first offense in this case is punishable by the same fine and prison time as your second offense with less that 4 oz (up to 6 years, up to $10,000). If for any reason you are caught with upwards of 10 lbs of an illegal substance, this is punishable by a mandatory minimum sentence of three years and up to 10 years, as well as a fine of up to $15,000. In Arkansas, as in most states, possession charges automatically result in suspension of your driver’s license. On your first offense, you will immediately lose your license for six months. On your second offence, you will automatically face a one year suspension. On subsequent offenses, you’ll face a mandatory suspension of at least two years. To re- obtain your license, you must enroll in a drug and alcohol safety education program and pay a reinstatement fee. This is in addition to other penalties and fines from the possession charge. Over the years, too many lives have been lost for completely unnecessary reasons related to drug abuse. One of the most common of these reasons is that friends of victims are afraid to call 911 in the event of an overdose because they believe they will be charged with a crime. Luckily, due to the advocacy of like- minded individuals, the eyes of legislators have been opened to recognize this problem. This has resulted in immunity laws for those who seek or try to provide medical assistance in the event of an overdose. The medicine Naloxone is known for being the overdose “antidote,” and can reverse the effects of heroin or opioids. Arkansas legislature has ensured that access to Naloxone is easier than ever to obtain. It’s FDA approved and can be prescribed to friends and loved ones of someone who’s struggling with addiction. Naloxone has no potential for abuse and isn’t dangerous to the victim. Even if Naloxone has been administered and the effects of the drug have been reversed, friends of the victim should still always call 911. It’s vital that the victim is examined by a medical professional, considering that an overdose can have severe, long- term consequences that may not immediately be evident such as brain damage. Running a simple search for drug crimes in Hot Springs, Arkansas results in a myriad of stories that highlight just how common of a problem drug abuse and drug trafficking is in the small town. It seems as if these crimes are ingrained in Hot Springs’ very fabric, suggested by a recent story that implicated over two- dozen individuals. In September of 2017, a raid nicknamed “Operation Ice Storm” occurred in Hot Springs, resulting in the netting of 30 lbs of methamphetamines by law enforcement officials. This is one of the many recently occurring large- scale operations that have revealed the “Spa City” as a hotspot for trafficking and distribution. This was the third large operation drug bust of the year. 35 individuals faced federal possession and trafficking charges as well as illegal firearm charges. Many of these individuals were ex- convicts who were prohibited from possessing firearms. In 2011, there was a case where five police officers from three different departments were among the 70 people implicated in a massive trafficking operation in Arkansas. The fact that officers of the law have capitalized on addiction in the past says something much darker about drug culture in Arkansas. Several high quality treatment facilities are distributed throughout the state of Arkansas, and 8% of these facilities are right in Hot Springs. These facilities offer a long- term 90- day residential program that treats addiction in 12 steps. Individuals who have struggled with their addiction for a long time have reported that short- term or outpatient programs don’t work as well for them as full- time, intensive programs. This indicates that if you’re struggling with a serious addiction, your best bet is to seek an inpatient program that suits your needs. While this is a big step, remember that Hot Springs residents seek help in droves, meaning that you don’t have to face recovery alone. Some local facilities in Hot Springs, Arkansas include Stockton Medical Group of Hot Springs, Shalom Women’s Center, and Quapaw House Inc. for Alcoholism. There will be slight differences in inpatient treatment centers wherever you go, but the following guide will help give you a general idea of what you can expect when you enroll in a residential program. First, You’ll be interviewed by one of the program’s counselors or medical professionals. This process will help give your counselor a better understanding of you and your addiction. Additionally, you’ll be given the opportunity to ask any questions you might have about the program and what you can expect going forward. Detox is a crucial step that comes before recovery, during which all substances will be allowed to cycle out of your system. This will take place in a medical facility and will be overseen by a doctor or professional. You may be given medication to ease the more volatile symptoms of withdrawal, especially if you’re detoxing from heroin or opioid pain relievers. The length and severity of detox depend on your metabolism, what substances are in your system, and how long you’ve been taking them for. The next step is rehabilitation. Here, you will exchange information and stories with both your peers and counselors to try to get to the bottom of your addiction and what fuels it. How long you’ve been abusing drugs for and why you started in the first place. Find the differences between inpatient vs. outpatient by clicking here. Many individuals struggling with a long- term addiction report that recovery doesn’t stop once they leave the rehabilitation facility. Recovery is something they must work to maintain each and every day. When you’ve left the inpatient program, consider your options that will assist you in continuing to recover and thrive. During your exit interview with the facility, express your desire to stay on track. Ask about options to continue therapy. If you’d rather not continue on with the same facility, ask your counselor to provide you with references for a new therapist or program. If you’d like to opt for a more communal approach to recovery, a sober living facility may be right for you. These facilities integrate sobriety into your home atmosphere with chores and group therapy sessions whilst encouraging you to have a job and life outside of the facility. Consider it a slow integration back into your community. No matter what you might believe, you are not a lost cause. There are so many resources waiting in the wings to help you and get your life back on track. All you have to do is start looking for them. In fact, one way to start is by contacting us. We can answer any questions you may have and get you connected with the help you need. Pick up the phone and take action. You have what it takes.